Adnan Syed is back in court for the first time since Serial. Adnan Syed, who is serving a life term in prison after being convicted of murdering his 18-year-old ex-girlfriend, is shown in this still image from video footage as he is brought into Baltimore City Circuit Court in Baltimore, Maryland, February 3, 2016. Adnan Syed appeared in a Baltimore courtroom today to ask for a new trial, about 16 years after he was sentenced to life in prison for the murder of his ex-girlfriend, Hae Min Lee, and just over one year after he became a household name thanks to the hit podcast Serial. 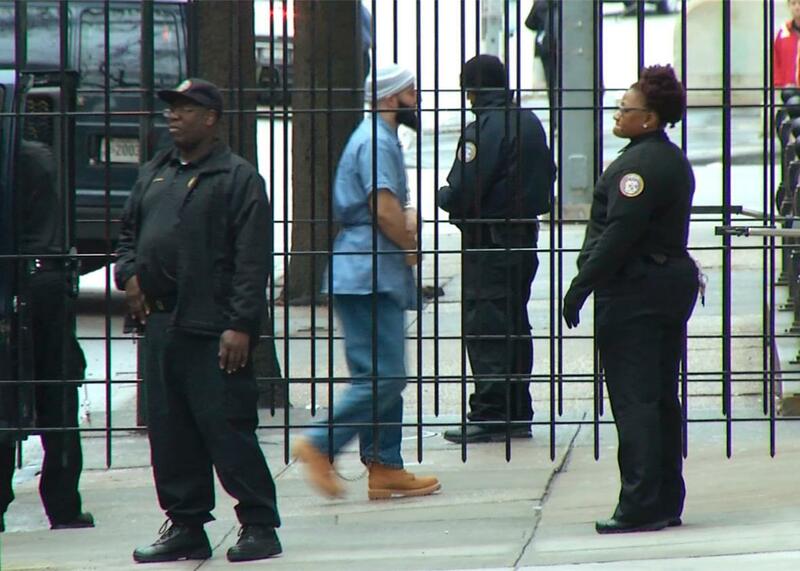 Syed, who is now 34 years old, entered the courtroom wearing a long beard and a light blue prison uniform, as well as a traditional Muslim kufi. Syed’s post-conviction hearing—which Serial host Sarah Koenig attended today—is supposed to last three days. According to the Sun, it’s unknown whether the judge presiding over the hearing will make a decision at the end of that period or at a later date.